If you’re looking for a car in Central Indiana, you’ve come to the right place. Hubler Automotive Group is dedicated to helping residents from Avon, Greenwood, Mooresville, Fishers, and Indianapolis find the perfect vehicle for their needs. Whether you’re looking for a new Mazda CX-5, a Honda Odyssey or a Nissan Altima at an affordable price, or a quality pre-owned vehicle, you’ll find what you need at one of our many locations. Here are some tips when you’re looking for the right car for your family. This is important. When you go into the car buying process, you don’t want to be unsure what you can spend. Crunch numbers and check your credit before ever hitting the lot so you know the price range you’re looking within. You can also apply for credit on our website so you know how much you qualify for before you start shopping. Nothing is worse than falling in love with a vehicle you can’t afford. We are proud to say that the vehicles that we stock on our lots across Central Indiana are built to last. That means, you should expect to have the car, truck, SUV or van you buy from us for a while. Think about where your life might go over the next couple of years. Are you planning to grow your family? Think you’ll have a longer commute to work? Whatever your plans, we can help you find a vehicle that can adapt to your changing lifestyle. Hubler Automotive Group stocks everything from Cheverolets to Mazdas. You can discuss your vehicle options with us, and we’ll help you find the right vehicle for you. Do some browsing on our website, and contact 888-221-5101 with any questions about what you see. Spend some time reading our research articles designed to help you make the right choice when car shopping. Hubler Automotive Group doesn’t just want to sell you a car; we want to sell you the right car. 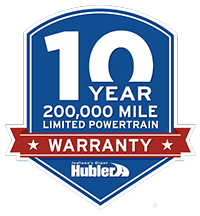 Come see why our guests recommend us to their friends and continue to return to their local Hubler dealership for all of their automotive needs. Customer satisfaction is our #1 goal. We can’t wait to help you. Call 888-221-5101 to get started.